When I started planning this trip, there were so many places I wanted to go and things I wanted to see. It was truly heartbreaking having to pick and choose to see what would fit into my limited vacation time. I pulled a lot out, but one thing I couldn’t bring myself to remove was Lolo Pass. 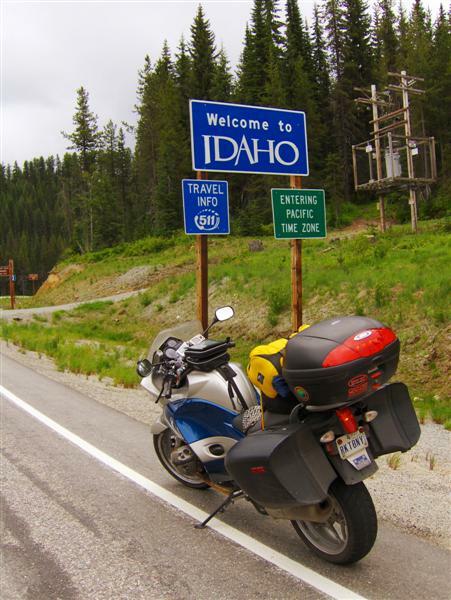 I first rode US-12 between Kooskia, ID and Lolo, MT back in 2005. I remember it as having endless easy-feeling curves with no surprises in a pretty river canyon. 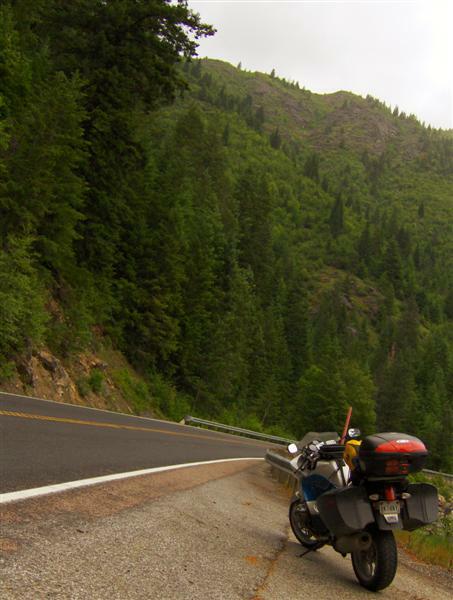 River canyon is generally my favorite kind of road…and Lolo Pass generally makes it to near (if not) the top of motorcycle roads top ten lists. But in order to ride Lolo Pass on this tour, I would have to compromise. It was kinda out of the way of my intended route. I left it in, but it meant that the rest of the day would be spent pounding miles to get positioned for the next day. After Erin fed me breakfast (Thanks Again!) 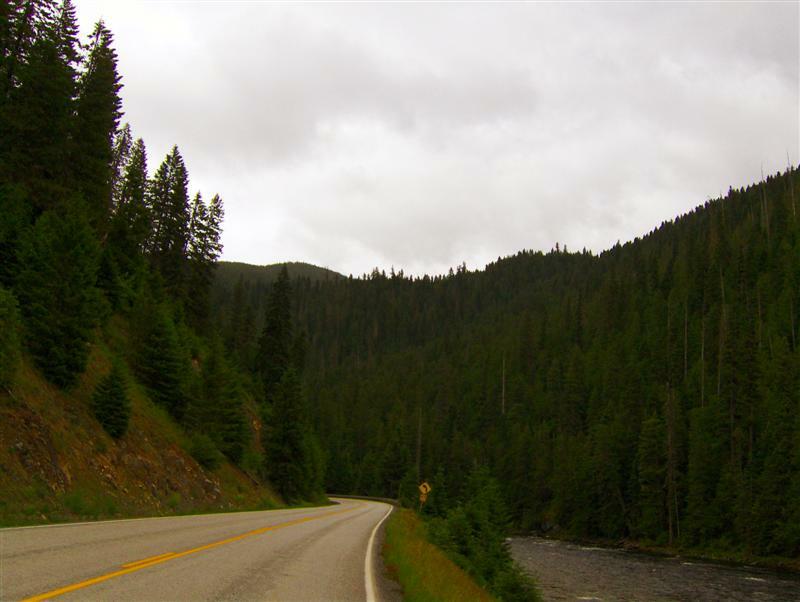 I headed south from Kalispell on US-93. It was at times a two-lane and at times a 4-lane highway. 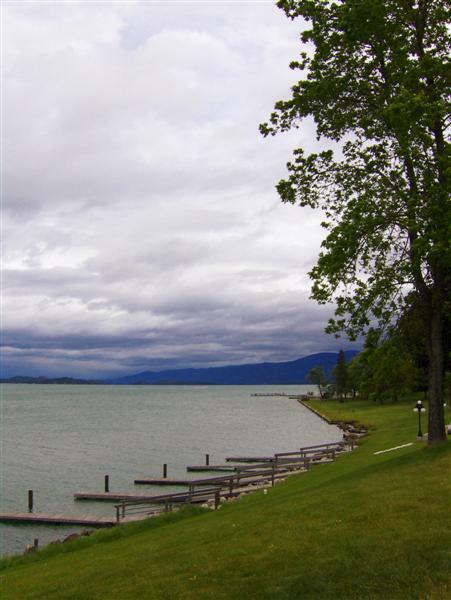 It always had traffic, but I entertained myself with watching Flathead Lake pass to my left. I made it to Lolo, MT around 11:00. I wasn’t yet hungry for lunch, but I knew that I would be starving by the time I finished riding the twisties, so I got a snack after filling up the gas tank. I headed up the pass, roughly paralleling the route of the Lewis and Clark expedition. Westbound from Lolo, the road starts out as a 70mph speed limit river canyon with wide sweepers smoothly transitioning to the next. 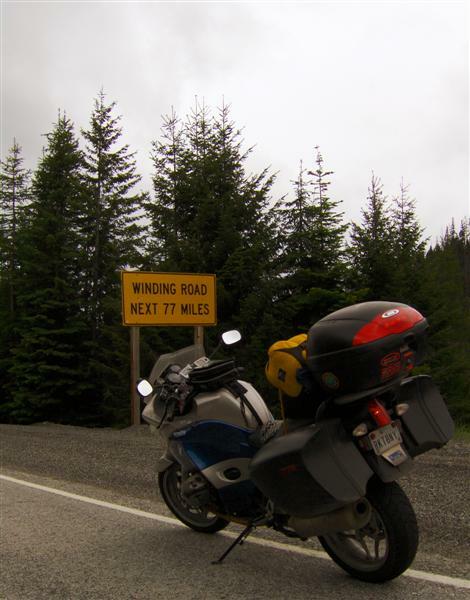 Then it climbs to Lolo Pass on the Idaho/Montana border. I bagged the all important signs at the top of the pass. After that, my picture-taking intentions kinda fell by the wayside. I was having so much fun…. And each time I saw a likely turnout, I was moving too fast to stop in time. Also, I went through cells of light rain…enough to wet my face shield, but not enough to impact visibility or traction. I saw temperatures as low as 41 degrees at the top of the pass, but I was warm and dry with my waterproof touring suit and Widder electric vest. Once down the mountain, the road settled into *river canyon* mode. 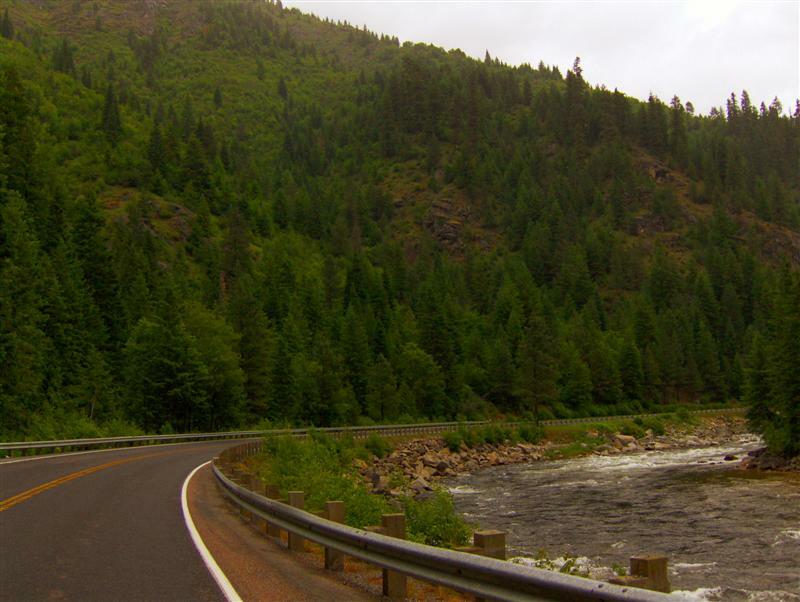 I swept along the Lochsa River, powering around the curves mostly in second or third gear. I think I spent more time in a hard lean than upright. No sooner did one curve end than the next began in the other direction. They seemed endless. I was throwing the R1200ST back and forth, pressing hard at the bars and enjoying the feeling of the suspension settling into each curve. There were plenty of passing opportunities and most cars quickly got out of my way as I approached. I seem to remember sticking strictly to the speed limit of 50mph (on the Idaho side) last time I was through here. I don’t *quite* think I managed that this time…considering that I was almost always within 2000rpm of redline in 2nd and 3rd gear. The R1200ST loves revving. A little while later, while stopped at a historical ranger station, I looked down at my dash to see that I was at the half tank mark….after ONLY EIGHTY MILES! I decided it was probably a good idea to turn around then… in hopes of making it back to Lolo without assistance. It was 4:30 and I was starving. Riding through Missoula, I found a Mongolian BBQ chain restaurant that hit the spot. The both of us fueled up, it was time to pay the price for spending so much time on Lolo Pass. I put my Widder vest back on, carefully buttoned up my suit for rain, and set my glove gauntlets inside the cuffs of my jacket. 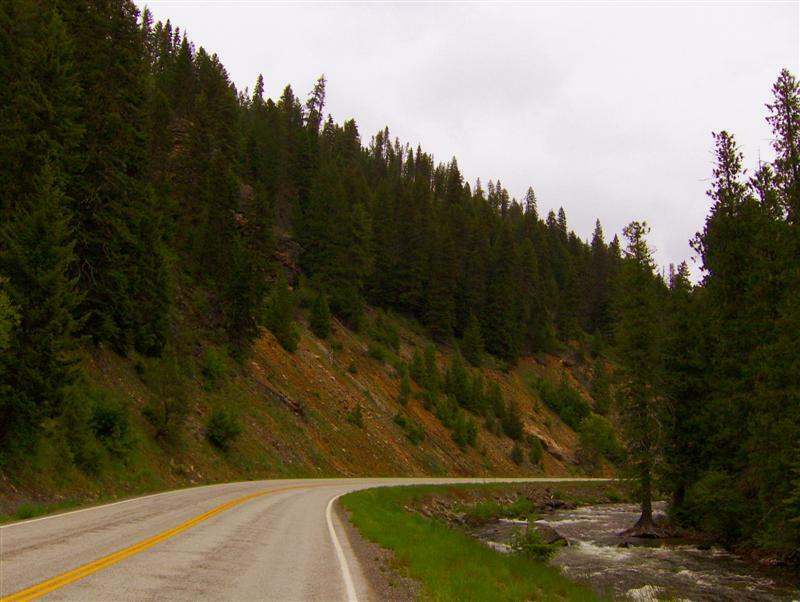 Missoula to Bozeman is 200 miles via I-90. I spent the first 40 miles going through rain cells. After that it cleared slightly, but I was still getting occasional drops. The suit did it’s job. I was completely dry and managed to keep warm with the extra assistance of my heated grips. It was late in the day, so I wanted to just get to my destination without stopping. I successfully managed to run the entire segment without pulling off even once. For an interstate, the road was surprisingly fun. 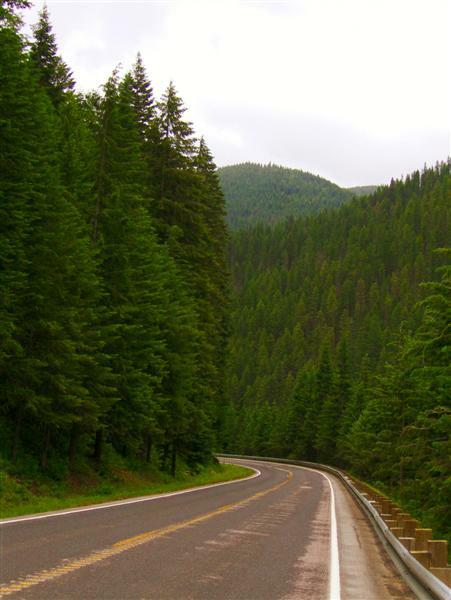 The speed limit was 75mph, through several steep and winding mountain passes. I finally arrived in Bozeman around 8:30. The skies were threatening more rain, so I found myself a hotel room and bedded down for the night. Great Stuff Becca.. Your pictures are awesome. have a safe trip home.